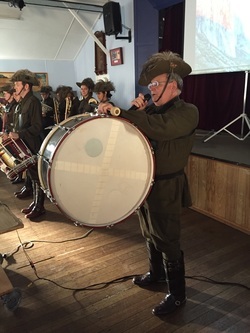 Throughout the month of May, Chairman of The Society for the Heritage of WWI in the Land of Israel, Eran Tearosh delivered a presentation on the charge of Beersheba to more than 350 people in audiences all around Australia. Mr. Tearosh visited the cities of Brisbane, Canberra, the Gold Coast, Manly, Melbourne, Perth, Sydney and Wagga Wagga. 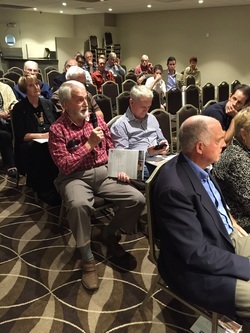 These talks were part of an Australian nation-wide roadshow of talks on the Light Horse Charge that took place almost 100 years ago in Beersheba, Israel. 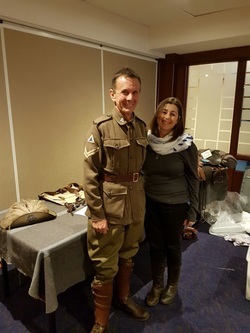 Mr. Tearosh was brought out to Australia by the Israel Travel Centre in conjunction with the Israel Ministry of Tourism to commemorate the 100 year anniversary of the battle at Beersheba - which represents one of the greatest ANZAC battles and last great cavalry charges in history. Mr. Tearosh’s roadshow was also timed to coincide with a unique tour to retrace the actions of the Light Horsemen that fought in this famous battle taking place in October 2017. In addition to serving as Chairman of The Society for the Heritage of WWI in the Land of Israel, Mr. Tearosh is also one of the world’s foremost experts on the Light Horse Charge in Beersheba and fighting spirit of the ANZACs. Missed the talk but still want to see it? No problem! Click here. The talks have sparked and inspired incredible interest from all walks of life, with guests also lucky enough to hear from a number of other special speakers on various evenings. Allan Sparkes, Australia Day Amabasador and recipient of both the Cross of Valour and the Queens Diamond Jubilee Medal shared stories of his grandfather – who led the charge. He talked about the incomprehensible level of bravery exhibited by the ANZAC soldiers, as well as the privilege we enjoy today as beneficiaries of their courage. Throughout the national roadshow, guests of the talks have also had the privilege of hearing about the important contributions made by Aboriginal servicemen from Pastor Ray Minniecon - a descendant of the Kabi Kabi nation, and whose grandfather was in the 11th Light Horse regiment as an Aboriginal serviceman himself. Guests also heard a beautiful poem – Spirit of the Light Horsemen - recited by Craig Meyers. Both Craig’s father andgrandfather fought in WW1 and WW2. Mr. Tearosh stated his delight at the level of interest that the talks have inspired, and has enjoyed speaking to people that are direct descendants of those involved in the charge. Mr. Tearosh also participated in a memorial ceremony at the Mascot RSL, an exclusive AIJAC boardroom lunch briefing and also delivered talks to Christian groups.